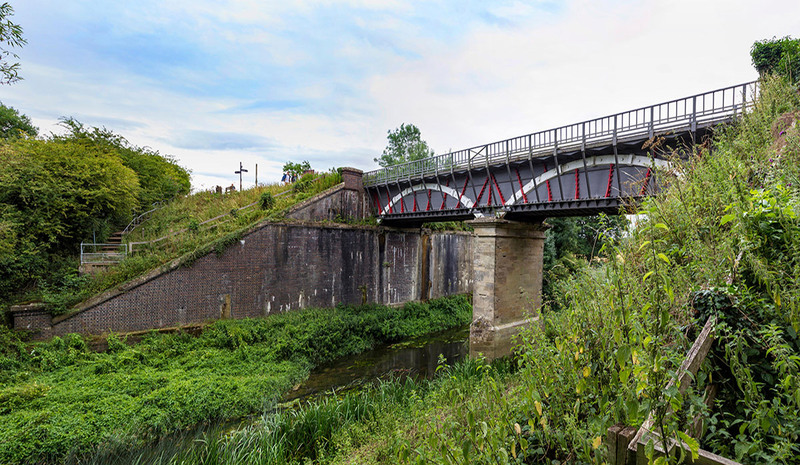 The so called ‘Iron Trunk Aqueduct’ at Cosgrove is a navigable cast iron trough that carries the Grand Union Canal over the River Great Ouse, on the border between Buckinghamshire and Northamptonshire. The present structure was built in 1811 to replace a previous brick structure that had failed. 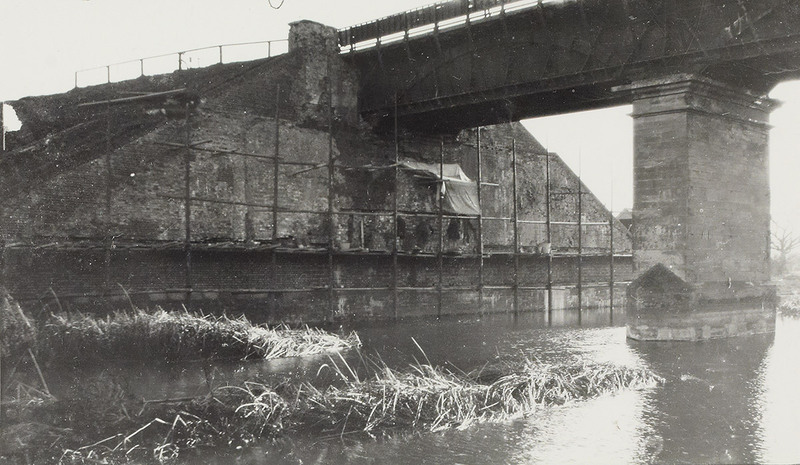 The collapse of the first aqueduct led to a legal battle between the canal engineer and contractor. 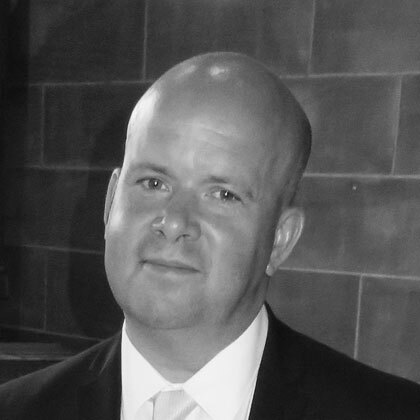 The contractor lost, and had to pay damages for loss of trade. Cattle creeps (small pathways) were added under the aqueduct to make sure cattle could still cross from field to field. The aqueduct is 15 feet wide and 6 foot 6 inches deep. In 2011, the Iron Trunk aqueduct won the final round of ‘The Big Lottery Fund: The People’s Millions’ – with a prize of £60,000 in funding. The money was used to celebrate the aqueduct’s 200th birthday by cleaning and repainting the cast iron structure in its original colours. If you’re travelling Britain’s waterways on your canal boat or narrowboat – you’re probably used to being at ground level, passing riverbanks and navigating tunnels. If you’re crossing the River Great Ouse though, you’ll suddenly find yourself high up in the air. Welcome to the Iron Trunk Aqueduct! Also known as the Cosgrove Aqueduct, it’s the world's first wide canal cast iron trough aqueduct. Set some 12 feet above the river’s surface, it is a dazzling (and in some cases, dizzying) route with views as far as the eye can see over the Buckinghamshire and Northamptonshire countryside. As you might expect, building the aqueduct was extremely difficult. Designed by Grand Union Canal’s company engineer, William Jessop, to match up the levels of the river – it was originally a three-arch brick viaduct, to avoid having to build several locks. Opened in 1805 – it wasn’t long before a section of the embankment fell in. Even worse, the whole aqueduct collapsed in 1808, cutting off the canal itself. Another company's engineers, Benjamin Bevan, was tasked with replacing the aqueduct. As a big fan of Thomas Telford’s iron trough aqueduct at Pontcysyllte, he was determined to design and build the world's first wide canal cast iron trough. With the iron bars cast at the Ketley foundry at Coalbrookdale (where Telford’s also were) – the enormous structure was transported by canal and painstakingly built – eventually being unveiled in January 1811. Floor arches and ribs were added shortly after for extra strength – and when you’re up there, believe us – you’re glad they were added! Milton Keynes Museum - With plenty of exhibitions covering a broad range of historical events, this museum is plenty of fun for all the family. Ouse Valley Park - For those who enjoy a nice leisurely walk in the countryside, this park is the ideal place to visit. Snozone - If you're looking for a bit of family fun, this skiing and snowboarding centre is ideal for beginners and experts. Cloud 9 Spa - With a wide range of treatments on offer, this spa is the ideal place to unwind. Wharf Distillery - This artisan distillery has plenty of delicious food and drink on offer.